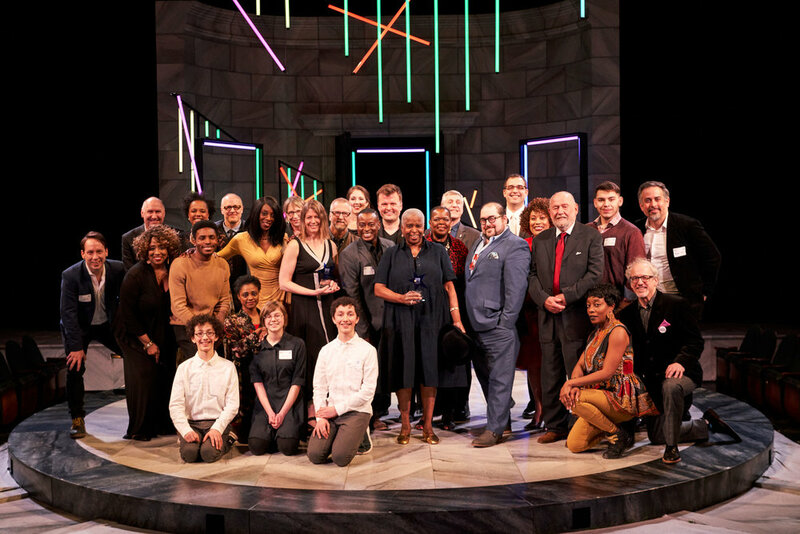 Dobama Theatre Receives Kathryn V. Lamkey Award from Actors’ Equity Association for Equity, Diversity & Inclusion On and Off-Stage. “While we are beyond grateful for this recognition, I think we would agree that we will all truly celebrate when inclusivity in programming, casting, and hiring is the norm. 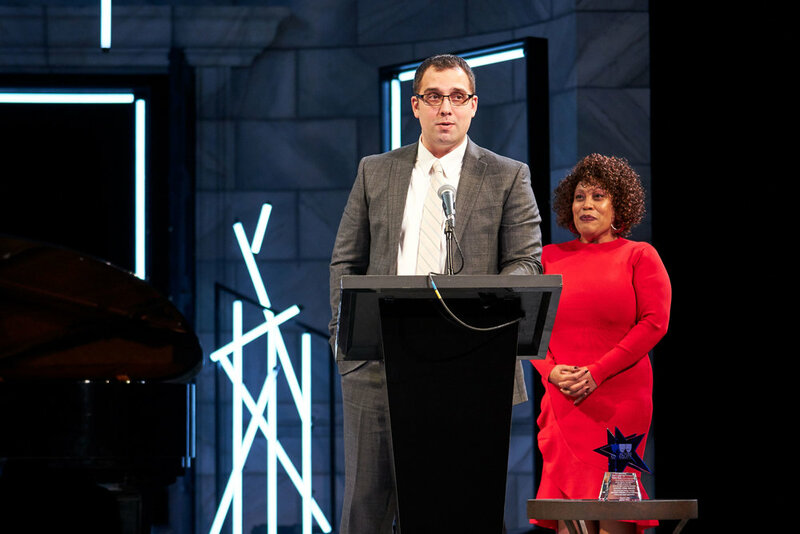 It should be as instinctual as holding the door open for the person behind you or serving your neighbor before you serve yourself at the dinner table.” - Artistic Director Nathan Motta in his acceptance speech. Ananias J. Dixon - "Sunset Baby"
Mary Francis Miller, "Sunset Baby"
*Cameron Michalak, "John" & "The Effect"
*T. Paul Lowry - "Ella Enchanted"
T. Paul Lowry - "The Effect"
T. Paul Lowry - "Sunset Baby"
In local playwright George Brant’s one-woman drama, Anjanette Hall played an ace Air Force pilot whose career flying an F-16 into combat is scuttled due to an unexpected pregnancy. Her performance of 90 minutes of uninterrupted epic poetry that transformed the literal into the abstract was absolutely spell-binding. Her masculine physicality, foul mouth and confident swagger got our initial attention. But it was Hall’s attention to small details in her phrasing and pacing, under Alice Reagan’s direction, that held it and it was the emotional fragility that slowly took over that kept our eyes riveted to the stage. Branden Jacobs-Jenkins is a Pulitzer Prize finalist and MacArthur Fellow “genius” grant recipient who the New Yorker compared to Sam Shepard, Eugene O’Neill, Tracy Letts and Tennessee Williams. It all shows in the brilliant prose and poetry that fill the dialogue in the dark comedy “Appropriate,” with Abraham McNeil Adams being a primary recipient in the role of Franz. The play begins after the patriarch of a white Arkansas family has died in his run-down ancestral plantation home and his grudge-bearing adult children (Tracee Patterson, Tom Woodward and Adams) and their families (Ursula Cataan, Kelly McCready, Ireland Derry, Miles Pierce) arrive to divide the estate. Adams played the black sheep of the family and did so, under Nathan Motta’s direction, with a wonderful vulnerable that had the audience laughing with him as much as it laughed at him. As previously noted, Branden Jacobs-Jenkins’ play begins after the patriarch of a white Arkansas family has died in his run-down ancestral plantation home and his three grudge-bearing adult children arrive to supervise the auction of the home and the dividing of the estate. The family’s historical toxicity is evident in the decaying, mold-covered walls of the Southern Gothic mansion designed by Cameron Michalak, which then brilliantly self-destructed at the end of the play to depict the future of the house once its occupants and its racist history have been exorcised. In the cinematic Disney version of “Cinderella,” it’s possible for a plain yellow pumpkin to become a golden carriage and a plain country bumpkin and a prince to join in marriage. But the true bibbidi-bobbidi-boo to be found in Dobama’s rendition of the knock-off musical “Ella Enchanted,” under Nathan Motta’s fairy godmother-like direction, is the turning of something middling (the script and score) into something magical (this production). This was largely accomplished by T. Paul Lowry’s animated images of big skies and sweeping landscapes that were projected on a rear screen and other imagery projected on the proscenium. All this helped transport the audience to an inviting and absolutely enchanting world set for storytelling. "In September, Lisa Langford was Lena, the grieving grandmother of a black teen killed by gunfire in Dobama Theatre's 'brownsville Song (b-side for tray)'....She confronted... prejudices in "Brownsville Song," insisting Tray's death wasn't "the Same Old Story" - her grandson wasn't another thug gunned down in a gang war but a good kid in the wrong place at the wrong time. In Langford's mouth, Lena's words detonated with the force of small bombs." "In Dobama's "Hand to God," Luke Wehner was Jason, a depressed, repressed teen, and his Satanic sock puppet Tyrone. We knew Wehner was voicing and manipulating the potty-mouthed Muppet, but he did it with such skill, it was easy to forget the two were one." 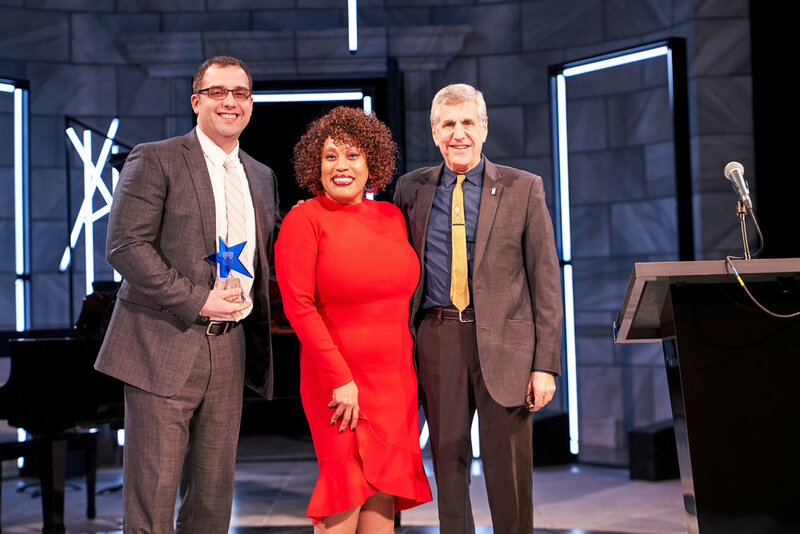 "Best new play by a local playwright: "How to Be a Respectable Junkie" - Greg Vovos set out to write a realistic play that captured the human catastrophe of the opioid crisis in Northeast Ohio and found his truth in Craig, an ex-junkie he met at a town hall at Perry High School. Vovos incorporated the man's true-life story into a compelling piece of activist drama that debuted at Dobama in June, demanding that we look past the numbing statistics at the people who'd do anything to kick - the first step in putting an end to the deadly epidemic." What the hell got into the water at Dobama?